Witch flounder is mostly brought to shore by fishermen in Maine and Massachusetts. Federal ocean managers say a popular species of New England food fish is overfished, and conservation measures are needed to rebuild its population. 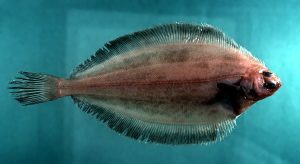 The National Marine Fisheries Service says the Northwestern Atlantic witch flounder stock is overfished, and the status of whether overfishing is still occurring is unknown. Witch flounder is among several species of flatfish caught off the New England coast. Witch flounder are mostly brought to shore by fishermen in Maine and Massachusetts. Fishermen typically brought more than 5 million pounds of witch flounder to land in the early 2000s, but the catch had fallen to about 1 million pounds by 2015. The fisheries service says the New England Fishery Management Council must develop conservation and management rules to help the stock rebuild. Witch flounder is among several species of flatfish that are caught off of New England for use as food.